Functional, practical and easy to use, the four plate electric hob is a no-nonsense cooking appliance that will perform time and time again. It comes with ergonomic control knobs, positioned safely to the side, a contemporary steel finish and adjustable power levels for accurate melting, simmering and boiling. Admittedly not as responsive as gas or induction, this style of cooking is traditionally what many of us will have grown up with in our homes. With solid plates that heat up, and stay hot for quite a while, you can easily move pans on and off the heat to keep everything ticking over and bring together when you are ready. It is robust in style and will easily withstand heavy pans and busy family life. 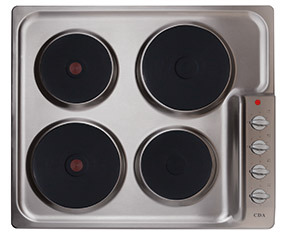 The zones are controlled with rotary knobs that are located to the side of the hob. This is a safety features to help prevent small hands knocking the controls or you having to put your hands near protruding pan handles to adjust the controls. It is recommended that you switch on the zone slightly before you want to cook, to allow it to heat up ready for your pans. There is a residual heat indicator light on the hob to let you know that a zone is in use and switched on, so that you don’t leave them on when you have finished cooking. *We don’t recommend scrubbing the brushed steel however, as abrasive cleaners could scratch the surface. Please go to our buying guide cleaning tips section for the best solutions to spills on your hob. We use only the highest grade of stainless steel to mould and fit our solid plate electric hobs, giving you sustainable quality in your kitchen design. These hobs have been designed to withstand plenty of use and their solid construction makes them ideal for rental or holiday properties. Although this type of cooking is slower to respond than the others, we are sure that if it is electric solid plate cooking that you are after, you’ll love this offering. The model has 6 power levels that allow you to adjust the heat in the plate and features 2 ‘rapid’ plates for extra boiling power when you need it most. 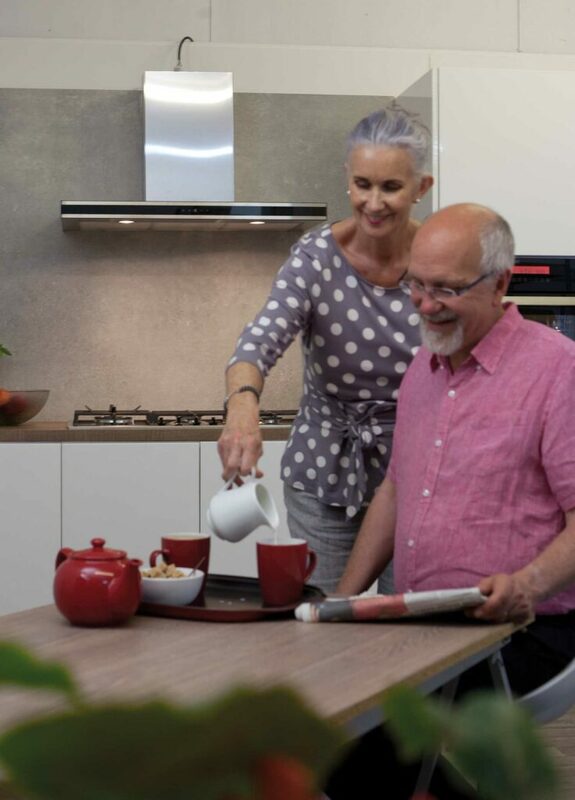 For more information on every cooking style and fuel type, visit our buying advice centre. This contains information on the cooking styles and fuel options available in our hob range and how they are to use in the kitchen. You can explore the frequently asked questions section for detailed answers or just take tips from our cleaning advice. We’ve broken through the jargon to give you clear and concise information in order to help you make the best decision for your budget, home and family.